Now that we’ve turned the corner into a new year, Dr Adrian Leu, CEO at INITION, takes a quick look into his crystal ball to see what’s in store for VR, AR and MR in 2018. As Roy Amara’s wise old adage goes, we tend to overestimate the effect of a technology in the short run but underestimate the effect in the long run. Nowhere is this more accurate than in the space of immersive technologies: virtual, augmented, mixed realities, haptics and all the other technologies that play, engage and immerse our senses. When talking about the immersive technologies market, media and finance analysts keep toying with predictions that range from hundreds of millions to billions. There is a bias in these predictions derived mainly from a sense of wishful thinking that is sometimes at odds with the delivery roadmap. So I take a more down-to-earth approach based on INITION’s practical experience of delivering advanced projects with clients and what we’ve learned from manufacturing partners. 2017 has been a year of awareness and consolidation, and this will continue in 2018. It’s beyond doubt that 2017 has been a year of awareness and consolidation, and this process will continue in 2018. In general, VR technologies will see more miniaturisation and ergonomic design, wireless, inside-out tracking and 6-Degrees-Of-Freedom. We need these improvements, especially freedom from cables, if we want to create proper room-scale experiences. Current announcements from HTC with their Vive Focus, plus Oculus/Facebook with their Santa Cruz updates, are certainly pointing to the right direction. Let’s hope that 2018 will be a milestone year in this respect. 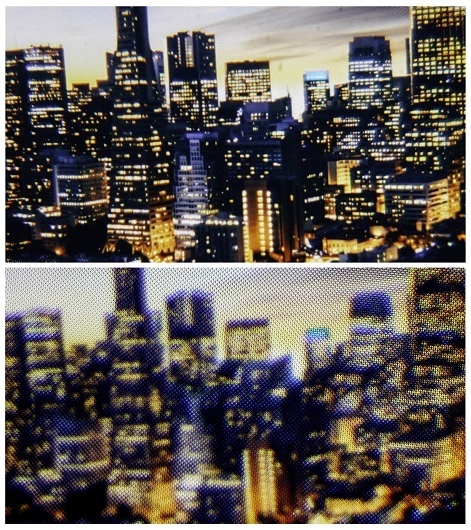 At the same time, image quality and experience will increase with quite a few players getting in on the game of high resolutions displays: Varjo and StarVR to name just two. Finland's Varjo headset radically raises resolution for VR. The other senses will become more prominent in 2018 and play an increasingly important role in providing narrative cues. While technology keeps evolving, so too does the ability to create the content that we can experience with this new hardware. 2018 will see more cameras that allow quick previews in 360/3D and shooting in stereoscopic 8K. Delivery workflow will be optimised and customised to compact production schedules. Although they’re unlikely to be fully commercial available in 2018, the trend for realistic (almost) holographic filming from companies like Lytro and 8i is worth noting. It will bridge the gap between moving image and CGi. The latter will see a 2018 upgrade with more photogrammetry service stations popping up, like the latest one from Hammerhead and Digital Catapult. We will also see content becoming more interactive, with continued exploration around the storytelling grammar. There is nothing wrong with the ‘visual narcissism’ that currently dominates most VR experiences, but let’s not forget the other senses. With interesting developments happening in the fields of binaural sound, haptic technologies and even smell, these will become more prominent in 2018; and some - especially sound - will play an increasingly important role in providing narrative cues. 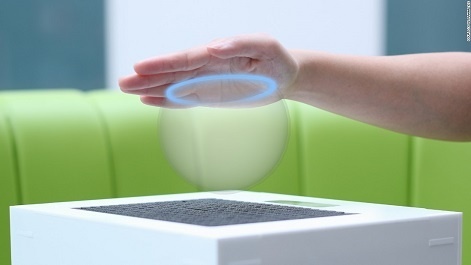 Ultrahaptics is one area looking to take the virtual experience beyond the visual. 2018 will bring better ways of interacting in VR environments that are more akin to our natural ways of behaving. 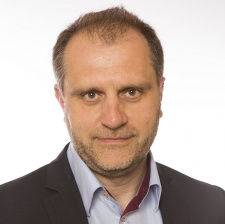 One of the less talked about but equally as important factors is connectivity and the ability to do more in the cloud. This will be a strong component of every VR system that tries to create super realistic, interactive, multi-sensorial experiences. Using the cloud for fast, real-time rendering is crucial for these types of complex scenes. 2018 will also bring better ways of interacting in VR environments; interactions that are more akin to our natural ways of behaving. While wands and other interaction inputs will be devised, I hope gestural based interaction will find its feet. Combined with gaze selection, voice activation and intelligent conversations (let’s bring IBM Watson into the VR mix! ), we will see an evolution towards a more natural zero interface. New harware controllers are the first step on the road to gestural input. The VR industry’s focus is almost an inside-out one. But there’s becoming a greater need to look ‘outside-in’ as a way of understanding the behaviour of people when they’re experiencing VR. Measurable biometrics will offer strong insight into how people are experiencing things and the impact of different types of content. Biometrics will provide invaluable data for modifying and adapting content so that we can create personalised experiences through feedback loops that shape the content based on people’s physical responses. This will be a huge boost to brands that are using immersive technologies in a marketing context because it will help them more accurately gauge ROI. 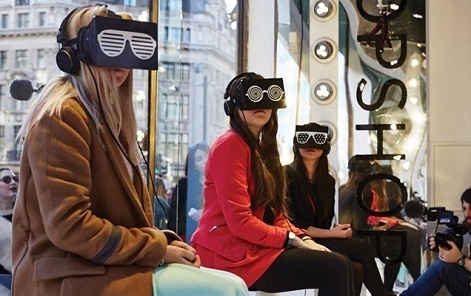 Retail brands are keen to explore the potential of XR; Top Shop at London Fashion Week 2014. ROI will become more important and drive the search for business applications. 2018 will also bring a greater focus on seeing VR as a practical business solution. As marketing’s use of immersive technology continues, the emphasis on ROI will become more important and this in turn will drive the search for business applications. VR’s ability to create remote presence and true embodiment – something that’s not been possible before – is a natural fit for education, HR, on-boarding, health and safety, workspace, hostile environment and first aid training. 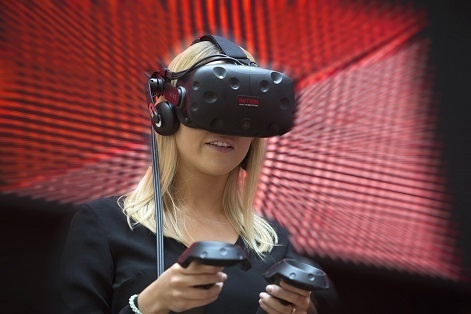 All these sectors will find ways to capitalise on VR’s ability to create flexible, adaptable, easily distributable and compelling training scenarios. 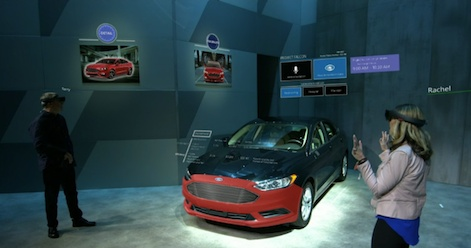 Ford is just one company already using XR for workflow and remote presence, with Microsoft's HoloLens. While 2017 was about better and more, my big hope is that 2018 will bring a rather more refined approach; something that will bridge the gap between what we always knew was a powerful new media and the actual results that it can deliver. Dr Adrian Leu is the CEO at INITION, a technology innovation agency that specialises in conceptualising and delivering unforgettably creative experiences and bleeding-edge business applications. 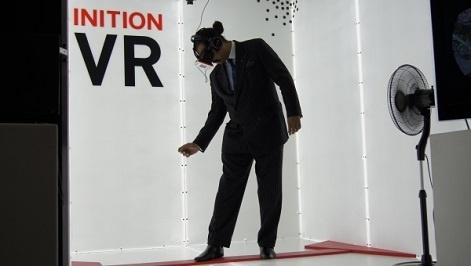 With a tech-agnostic focus on harnessing emerging tools with creative rigour, INITION helps FTSE 250 companies leverage the latest immersive communication technologies long before they hit the mainstream.